MORE THAN JUST A DELI! Here at the Deli we have a real passion for food. Most of our produce is created on the premises using only the finest local and seasonal ingredients. Here at the Deli we have a real passion for food. Most of our produce is created on the premises using only the finest local and seasonal ingredients. These are supported by carefully selected wholesalers trading in fine produce from areas across the UK such as The Cotswolds, Somerset and Devon to mention a few. Buy 5 and get a 6th for free! On all of our delicious chef prepared meals. Did you know we can also deliver our meals around Mersea? 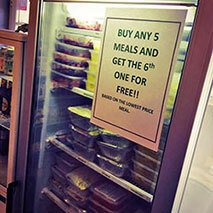 A great service which allows those who may be unable to get to The Deli to still receive quality prepared meals. Because we love our customers so much and appreciate their loyal support, we want to give them something back. We are introducing two loyalty schemes as a big thank you! Buy any five hot drinks (regular or large) and we will give you the 6th one for free! 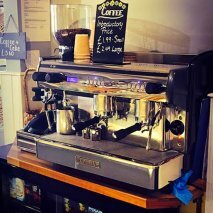 Make sure you ask for your loyalty card next time you purchase a hot drink; we will stamp it and you will be on your way to a free one! Our freshly prepared tasty meals are a huge success, however we what to give you another reason to buy from us instead of the usual ready meals purchased elsewhere! Buy any five meals and you will receive the 6th one for free (Based on the cost of the cheapest one you purchase) They are great for freezing and fresh, tasty and full of nutrition. We are soon to be introducing a wine club, offering selected wines purchased by the case at discounted prices. 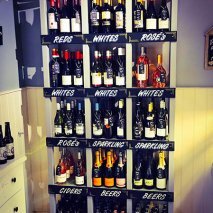 So not only will you be able to purchase wine from our shop stock you will be able to order wine by the case, we will also deliver it for free! We will have wines of the month, both every day drinking and fine wines! Watch this space to see when its launched and how easy it is to become a member. Copyright © 2019 The Deli - Mersea. All Rights Reserved.